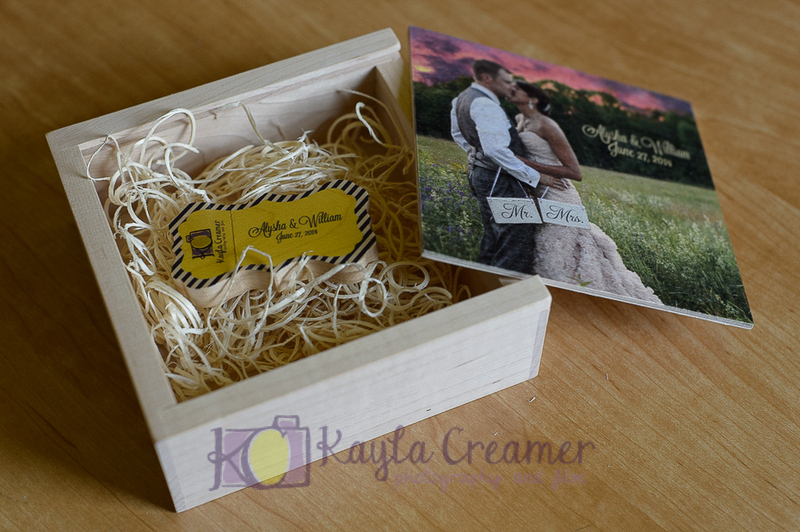 I’m heading out later today to second shoot a wedding for Melissa at Colors of Her Heart Photography and thought this would be a good time to post about the custom flash drives that I’ve been mentioning over on my Facebook page. I just started offering custom wooden USB drives and custom wooden boxes as a method for delivering my digital files to clients. Since many computers no longer have DVD drives, USB drives are a great method for delivery. The drives are luxe shaped and are customized with the couples’ names and the date of their wedding. Each drive comes in a wooden storage box with a sliding lid. The lid is printed with a photo from the wedding along with the names and date of the wedding. They’re really awesome and I love the quality. So far, so do my clients! 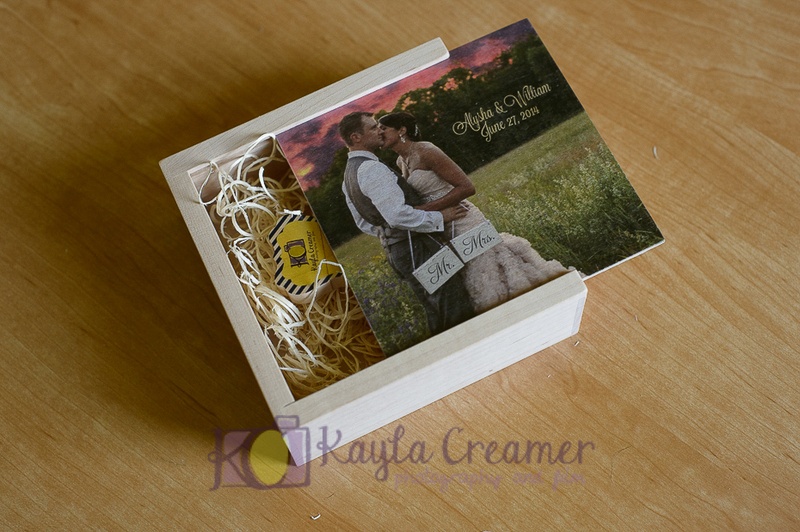 Below are some photos of the drive and box that I delivered to Alysha and Will with their wedding photos. 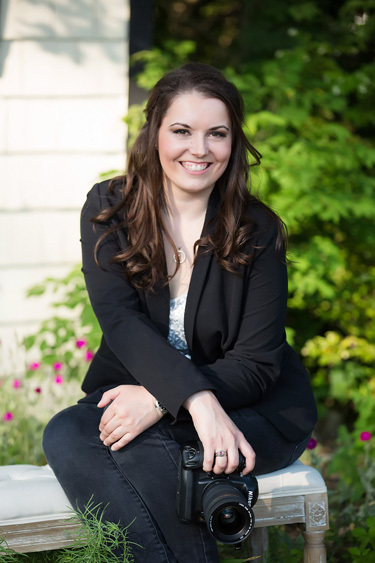 This is just one of many great products that you can get if you book a wedding with me. I’ll be doing a feature on my wedding sign in albums soon. Check back for that soon. 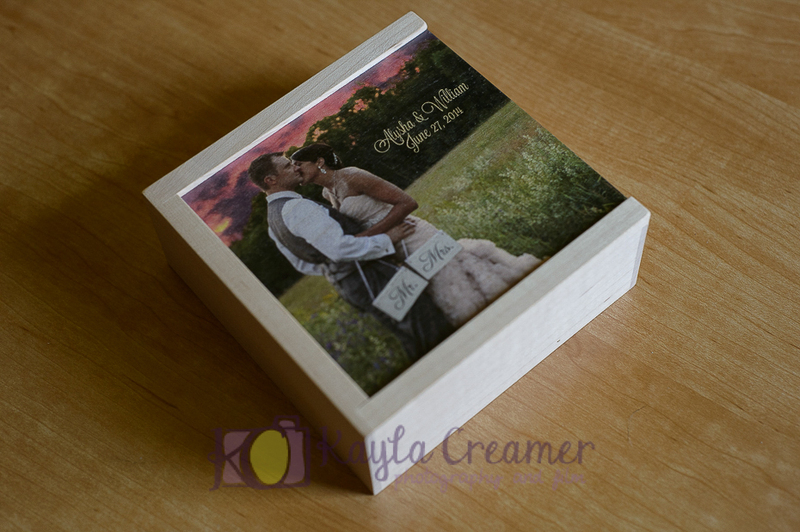 The lid of the box is printed with a photo from the wedding and the couples’ names and wedding date. The box has a sliding lid and the drive is stored inside. The USB drive is luxe shaped and is printed with the couples’ names and wedding date. I generally try to match the colors to the couples’ wedding color scheme. In this case, Alysha and Will had a navy and yellow theme.